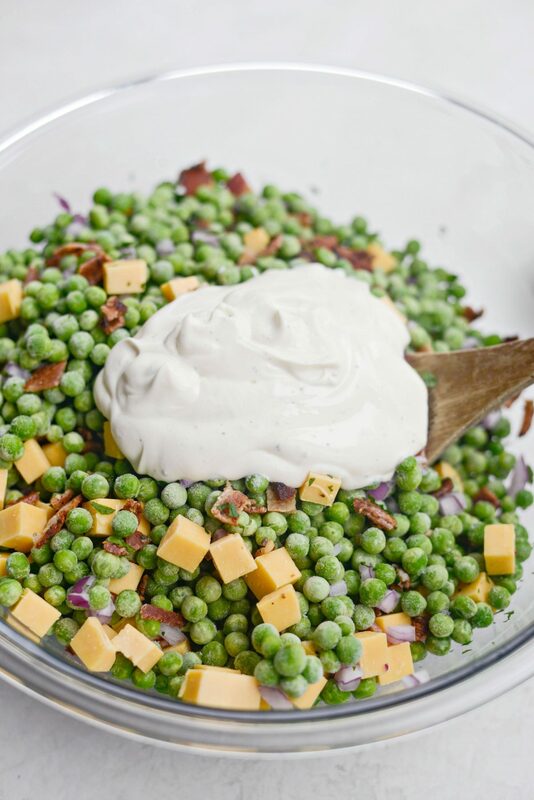 This creamy Bacon Pea Salad is a super simple side salad of peas, bacon, cheddar cheese, red onion and parsley tossed in a creamy dressing. Fresh, crisp and delicious. 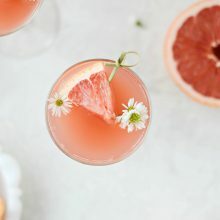 Perfect for cookouts or any occasion really. 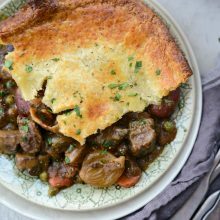 Serves 8 to 10+ in under 30 minutes. 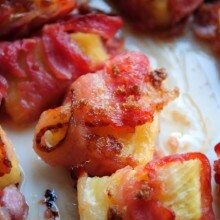 I think of summer barbecues as being like Thanksgiving, as it’s all about the sides. 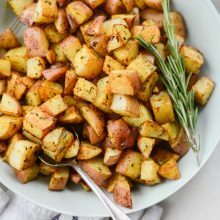 Although (imho) my husband grills the best burgers ever but I do equally love good side dishes too. Potato salad, macaroni salad, baked beans, coleslaw… you name it. I’ll have them all on my plate. 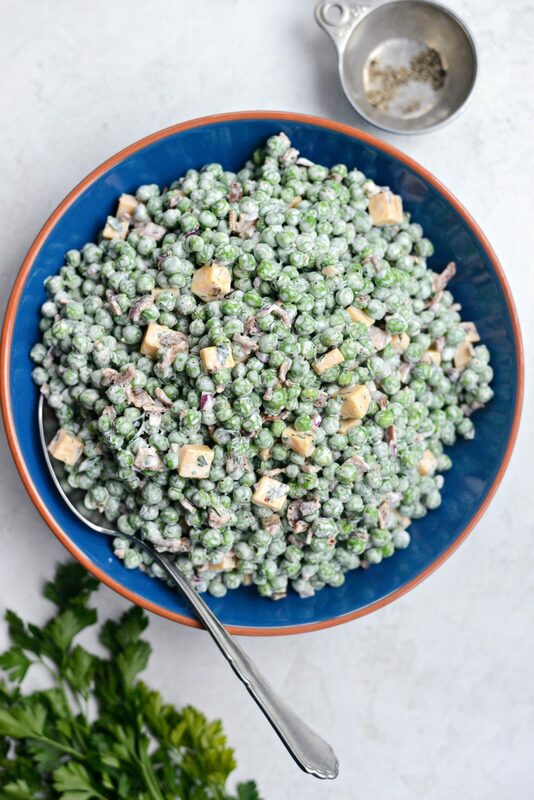 This week I channeled my love for retro-style side salads and this easy bacon pea salad is 1 of 2 (so far) recipes I’ll be sharing! 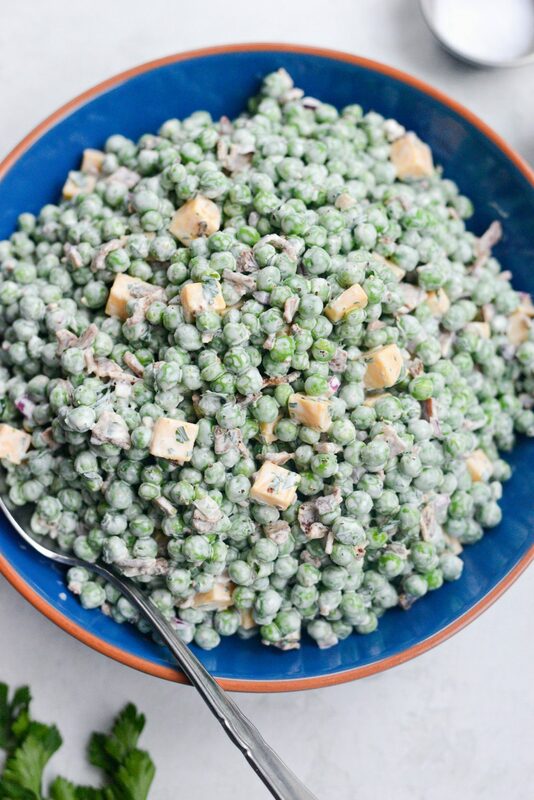 Speaking of love… I love peas. Ever since I was a little girl and would mix them into my mashed potatoes. Not to hide them, I really just liked the texture. 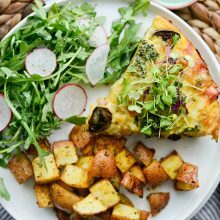 As an adult, I mix them with bacon, red onion and extra sharp cheddar cheese and call it a salad . Being a grown up is fun. Honestly though, I personally could eat a big bowl of this. I especially love it after it sits for a bit. 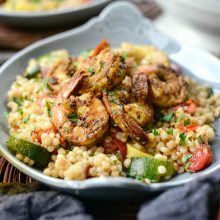 If you make this at your next barbecue, don’t be surprised if there isn’t any of it leftover afterwards. 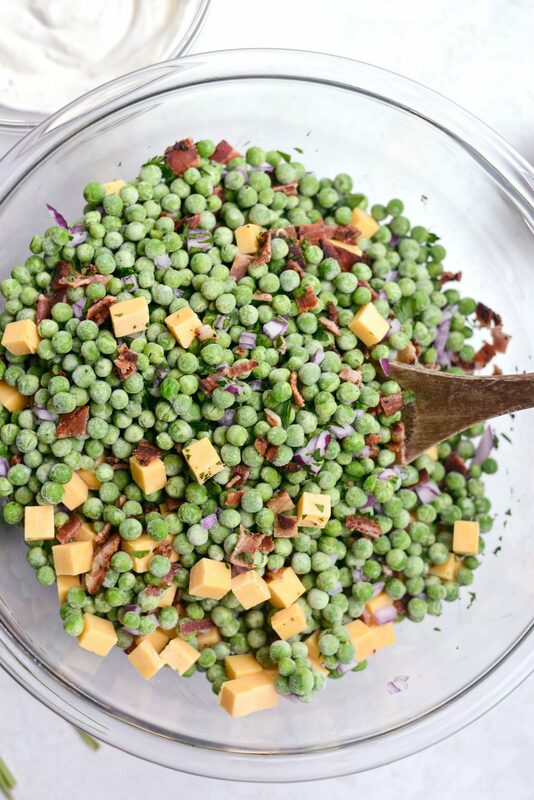 The ingredients for this creamy bacon pea salad are: 8 ounces bacon – cooked until crispy and finely chopped, 2 pounds frozen peas (slightly thawed), 6 ounces extra sharp cheddar cheese – cut into small cubes, 1/2 cup finely diced red onion and 2 tablespoons finely minced fresh parsley. 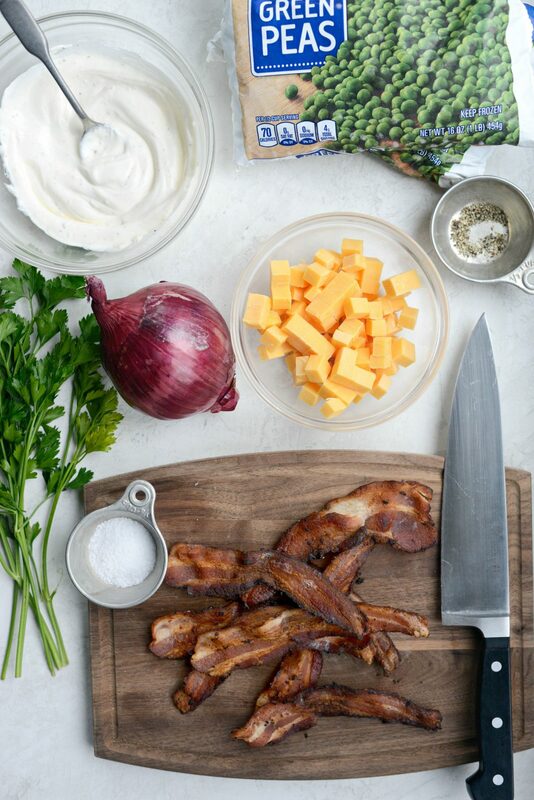 You will also need 1/4 cup mayonnaise, 1/4 cup sour cream and kosher salt and freshly ground black pepper. Next add in the peas, bacon, onion, cheddar and parley into a large mixing bowl and toss to combine. Then in a separate bowl, combine the mayo, sour cream and 1/2 to 3/4 teaspoon kosher slat (to your personal taste) and about 1/4 teaspoon freshly ground black pepper and toss to combine. 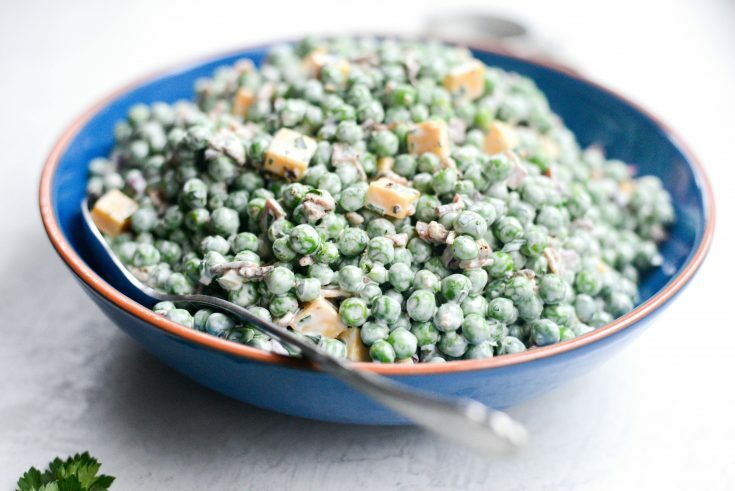 If the peas are still a lot frozen (like mine) the dressing won’t look as creamy. However, it will eventually when the peas thaw more. Enjoy! 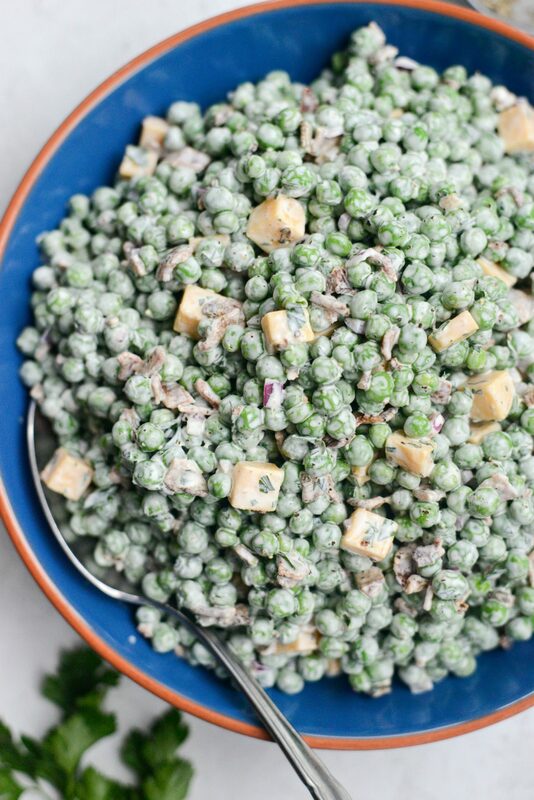 And if you give this Bacon Pea Salad recipe a try, let me know! Snap a photo and tag me on twitter or instagram! 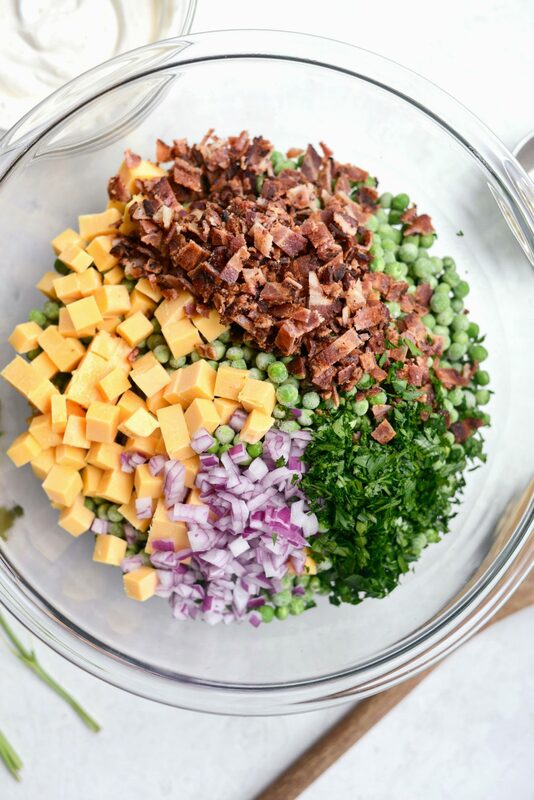 BaconPea Salad is a super simple side salad of peas, bacon, cheddar cheese, red onion and parsley tossed in a creamy dressing. Fresh, crisp and delicious. 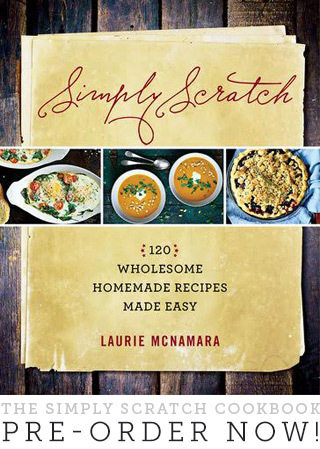 Perfect for cookouts or any occasion really. Serves 8 to 10+ in like 10 minutes. 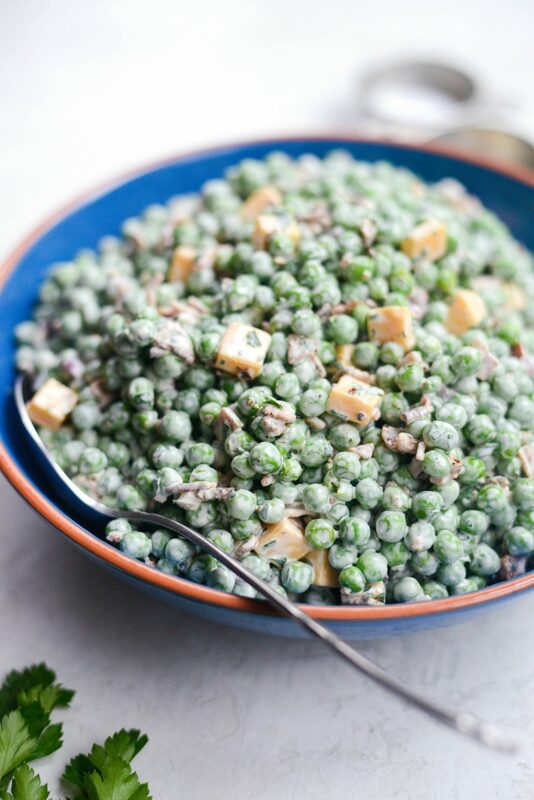 In a large mixing bowl combine the peas, bacon, cheese, onion and fresh parsley. In a small bowl, combine the mayo, sour cream, salt and pepper. 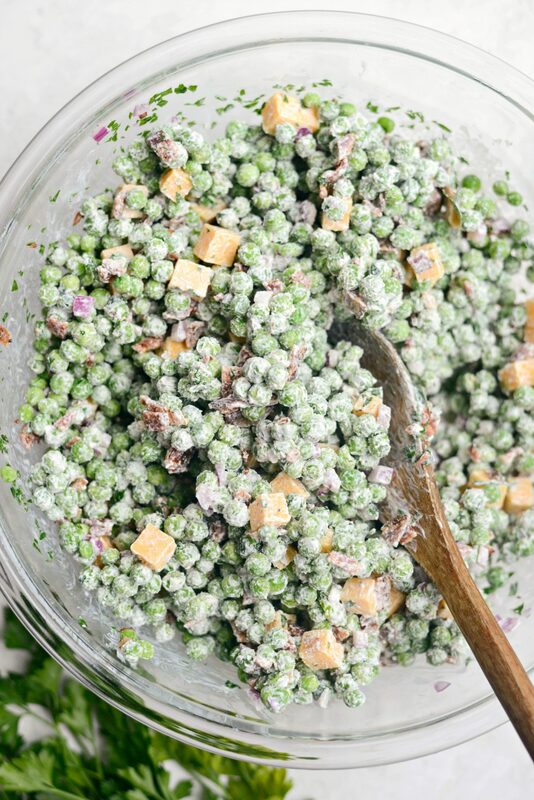 Add this dressing into the bowl with the peas and bacon and toss to combine. 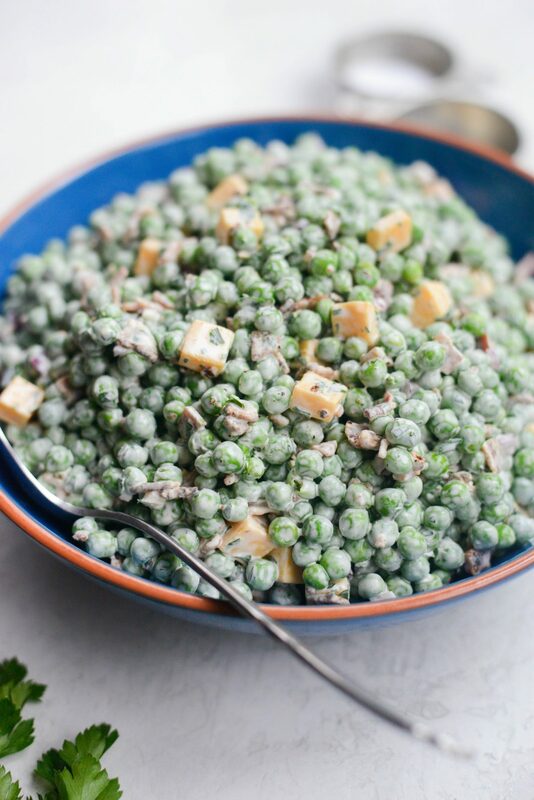 If the peas are still a lot frozen (like mine usually) the dressing won't look as creamy. But it will eventually when the peas thaw more.